EDINBURG — Science, engineering, and technology attractions were in full bloom Saturday for the 16th Annual HESTEC Community Day held at the University of Texas Rio Grande Valley. As the afternoon moved into the evening, crowds began filling up the university grounds for a day of music, food and education. Nora Gutierrez along with her husband Horacio attended the event with her two children to learn the importance of education. 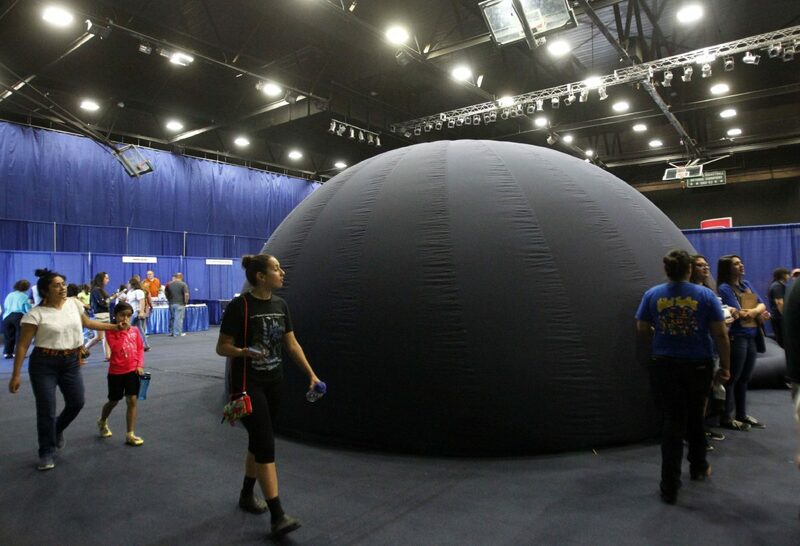 People shuffle out of the UTRGV portable Planetarium during HESTC Community Day at UTRGV Saturday Oct. 7, 2017 in Edinburg. A Stellar Journey. 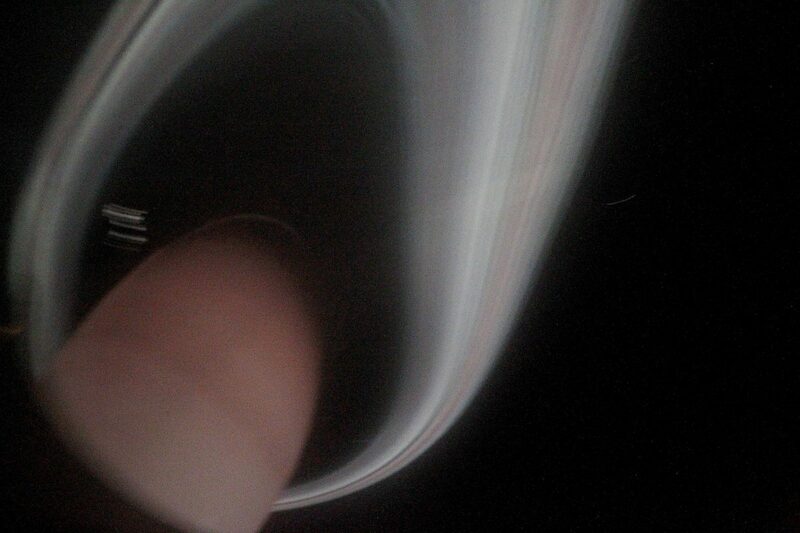 Planet Saturn makes a sharp turn inside the UTRGV portable Planetarium during HESTC at UTRGV Saturday Oct. 7, 2017 in Edinburg. 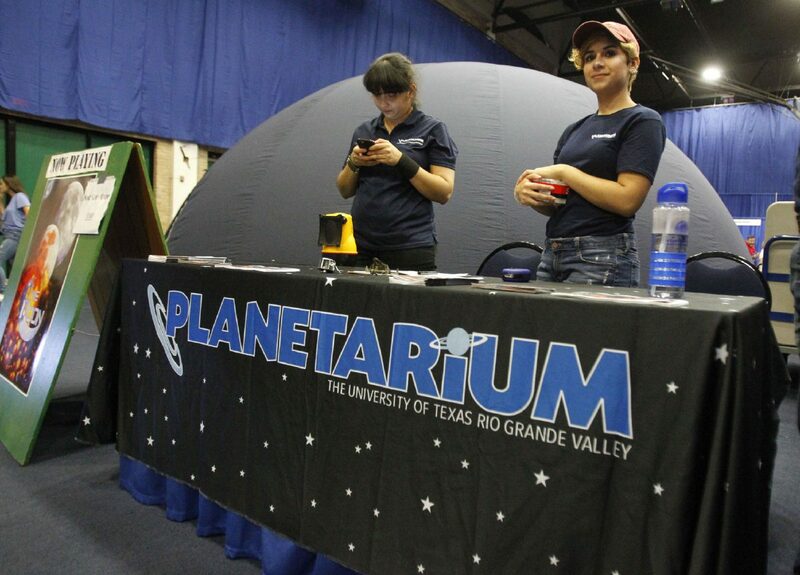 The UTRGV portable Planetarium is seen during HESTC Community Day at UTRGV Saturday Oct. 7, 2017 in Edinburg. Community Day also offered a glimpse of a new technology called Nerdvana, occupying the campus’s Health and Physical Education Building II. Hiten Patel, CEO and founder, started Nerdvana in the spring of 2016, integrating technology in the classroom within Valley school districts. “Rocket launching, virtual reality, drone technology, 3-D printing, robotics, all the cool pieces of technology, we work and make those for classroom content and be more engagement in the classroom,” Patel said. Elias Ruel attended Community Day with his father and as a high school student, he took in the sights and sounds of what HESTEC had to offer. 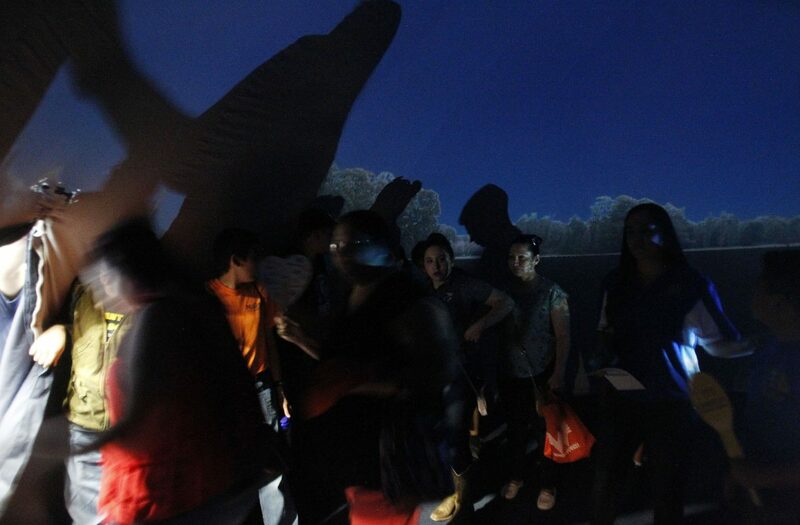 Another technological aspect was the eye-catching RV called “Classroom on Wheels” or COW; it was presented by CodeRGV. The mobile vehicle was transformed into a mobile classroom last year. The portable classroom holds desktop space with four mobile hotspot units including an area dedicated to virtual reality. 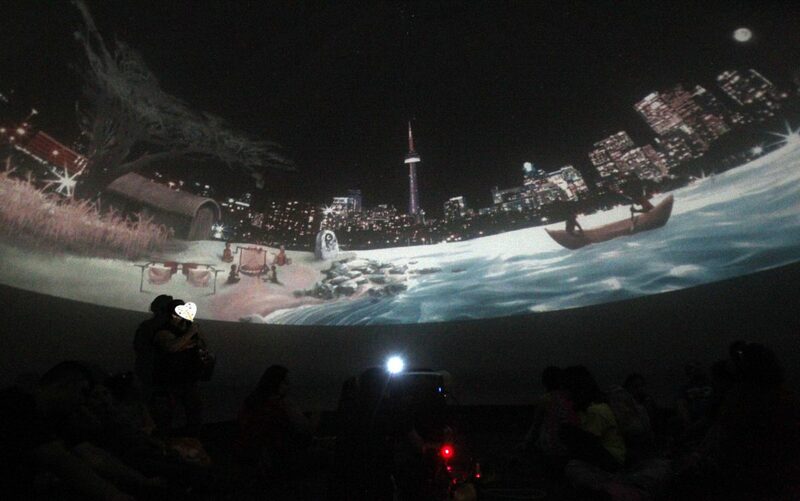 Virtual reality allows local kids to travel across the world and experience never before places. Irene Wazgowska, CodeRGV program director, said the mobile classroom is a visual application to provide resources for the community. Similar to Classroom on Wheels is another community resource already in existence called TECHBus. TECH, short for Taking Education to the County of Hidalgo, was created by Hidalgo County Commissioner Eduardo “Eddie” Cantu in 2015. Both mobile units benefit children to seniors and everybody in between. Children will have a chance to use the bus for educational purposes. For adults and seniors, the lab will be a source for general computer usage and adult education. Besides the educational exhibits, the community also enjoyed foods, such as fajita tacos to tamales, offered by the university clubs. A full day of music performances and other recreational activities were also offered.